I declare a number of interests. I was on the Select Committee that helped to craft the legislation, which was a good foundation—but all the evidence shows, and some of us realised this at the time, that it needs to be developed with further investment, as we learned from victims and the adjustments of the police and other statutory authorities. I declare an interest, too, as chairman of the advisory panel of the Independent Anti-slavery Commissioner, to whom the noble Lord, Lord McColl, referred and who is doing some amazing work, helping us to see where the foundations can be strengthened and developed. We have heard how the Independent Anti-slavery Commissioner has been working with the Work and Pensions Committee, making suggestions to the Government about the NRM. All this is evidence based and putting victims at the centre, which is what this Bill is about and why I think it is the next obvious step for us to take. Second Reading is about matters of principle, and I want to highlight two or three principles that are important to consider and invite the Minister to reflect on them with us in looking at the proposals before us. The first is about numbers. The Minister in the other place has recognised that the numbers quoted are grossly inadequate. We are looking at a vast problem ​affecting almost every community; even in rural Derbyshire we discover evidence of people in slavery. So the resource implications will be huge, and we have to face that. How will we resource the needs of victims as we improve our ability to identify them, pushing back against crime and helping them to recover? The crime works and is such a successful business because they are good at recruiting people who are vulnerable anyway: those who are homeless or who have emotional or mental health problems. This is why resourcing is so important. People in that state do not just need a quick system—at the NRM we are realising that we need more time, resource and benefit cover—they also need loving, basically, and that is really hard to do. One thing the Clewer initiative is about is finding how people can voluntarily go the extra mile and step up. In my diocese, we provide support for the police with premises for interviews. Our Mothers’ Union puts together toiletries to give to people to make them feel that their body is worth caring for. We try to provide volunteers to sit with victims and to provide accommodation, with the Red Cross and others, when the system is creaking and people are falling between the cracks. …The latest estimates are that there are 21 million victims of slavery in the world, with 13,000 in the UK. The right reverend Prelate suggested that that was an underestimate. 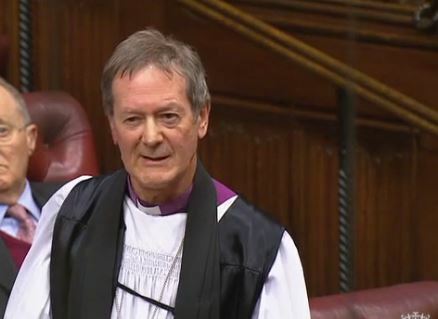 The Minister of State, Home Office (Baroness Williams of Trafford) (Con): My Lords, I join other noble Lords—I think every noble Lord—in thanking my noble friend Lord McColl for introducing the Bill and the opportunity to have what has been an excellent debate. I welcomed all the opportunities to listen to noble Lords’ contributions, in particular the poignant recollections of the right reverend Prelate the Bishop of Derby and my noble friend Lady Newlove’s eloquent description of the things victims have to go through and the assistance they need to begin the process of rebuilding their lives. I also thank the Church for the work it is doing and the other organisations for the work they are doing, including the Co-op, which has been mentioned so many times.